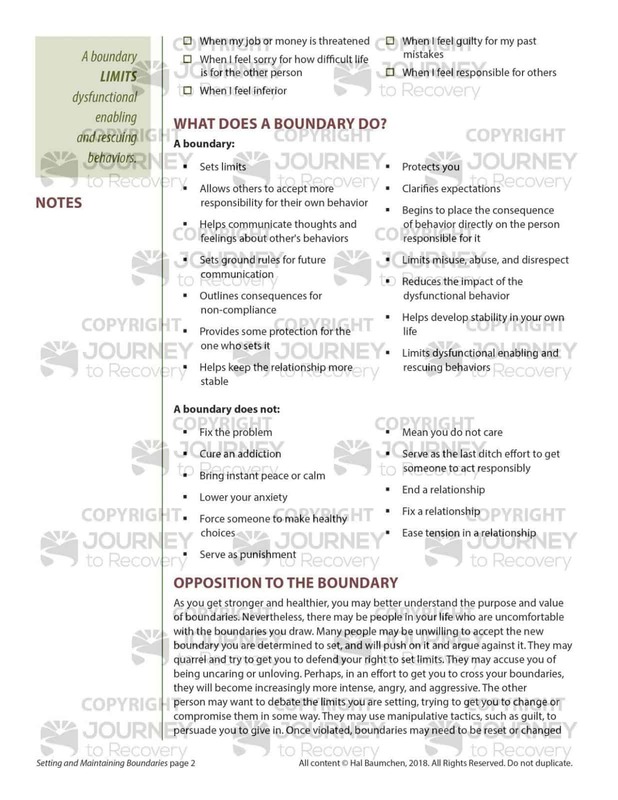 A boundary is like a fence or property line. 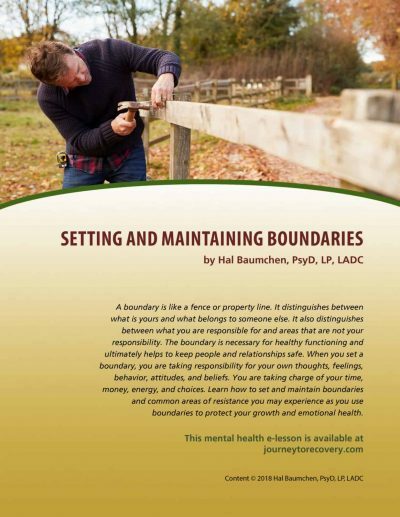 It distinguishes between what is yours and what belongs to someone else. It also distinguishes between what you are responsible for and areas that are not your responsibility. 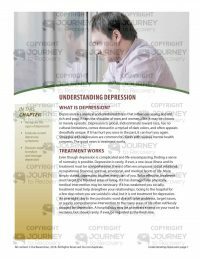 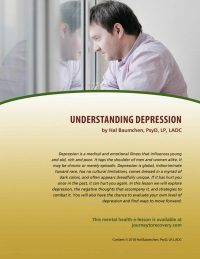 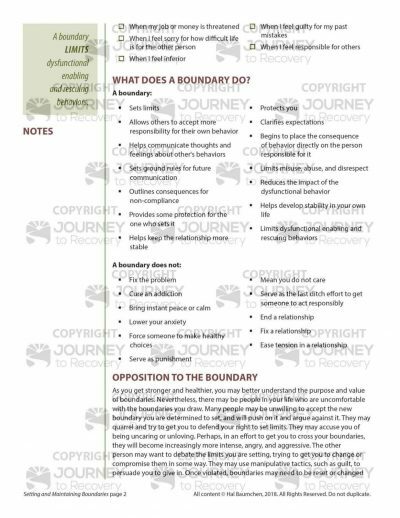 The boundary is necessary for healthy functioning and ultimately helps to keep people and relationships safe. 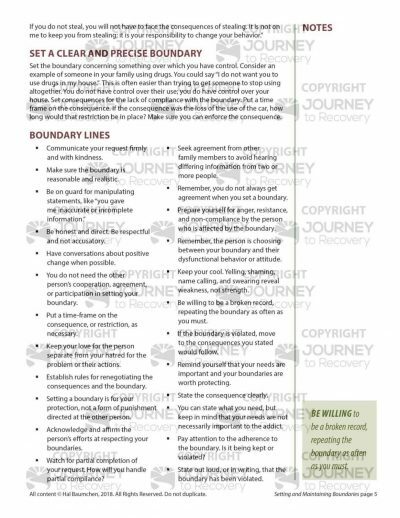 When you set a boundary, you are taking responsibility for your own thoughts, feelings, behavior, attitudes, and beliefs. 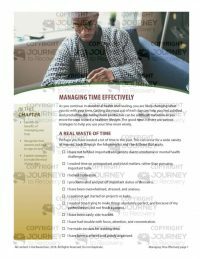 You are taking charge of your time, money, energy, and choices. 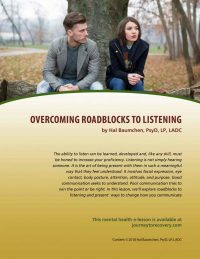 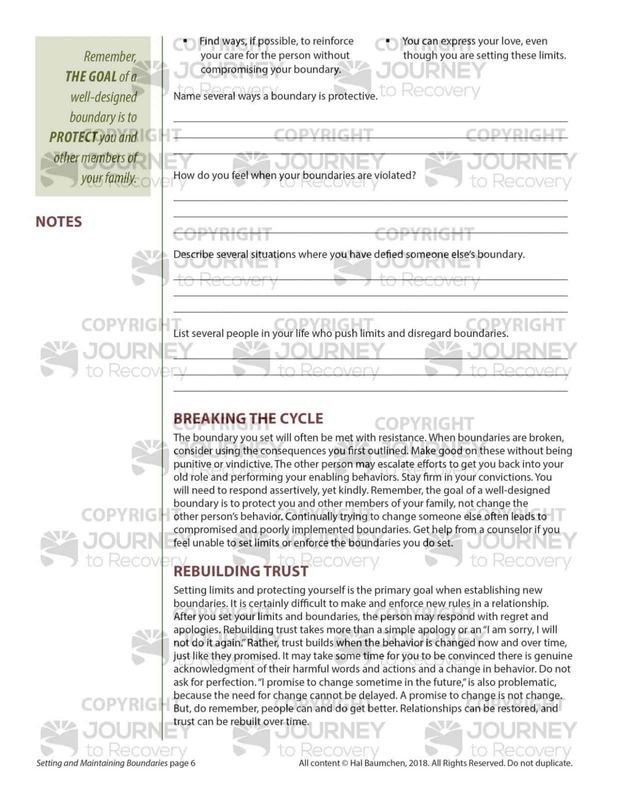 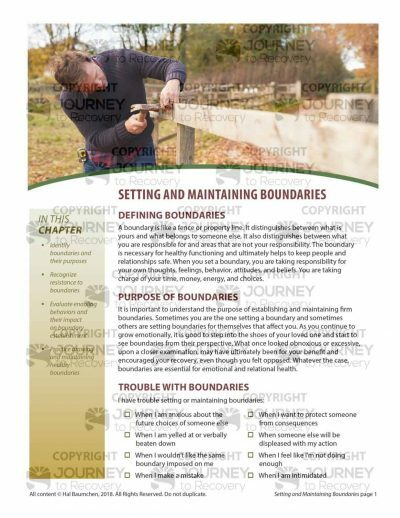 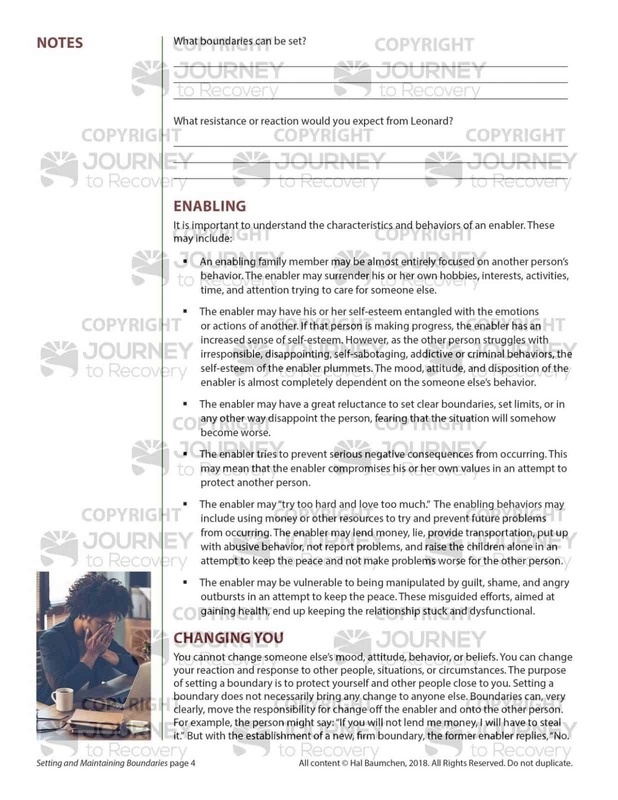 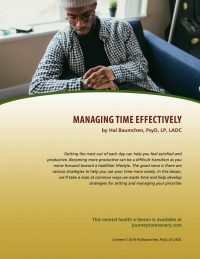 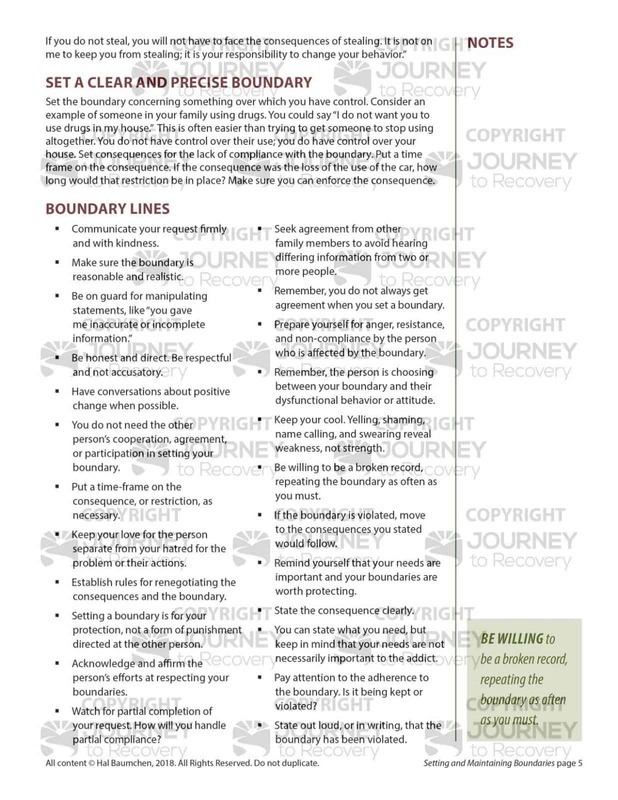 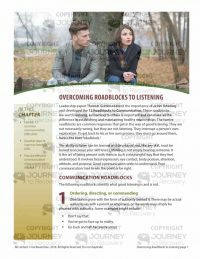 Learn how to set and maintain boundaries and common areas of resistance you may experience as you use boundaries to protect your growth and emotional health.